Some of my earliest memories involve playing in soybeans in the bed of a grain truck. I thought sliding around in the loose beans was the most fun a kid could have. My parents’ transitioned from raising row crops and running a small confinement hog barn to selling certified organic vegetables, cut flowers, eggs, and pastured broilers during my childhood. My parents instilled in their children that it was possible to make a living and a good life on the farm. They always paid us for our farm work, beginning when we were very small by paying us $0.10 for every little red wagon load of corn we pulled out to the roadside stand and stacked on the table. They strove to make work fun and would reward us with a swim in the creek after cultivating a bed of veggies or playtime in the woods after cleaning a set number of garlic heads. I don’t know how they did it, but their love for the land was transferred to us, and all three of their children are now farming as adults. Growing up in rural Ohio, I loved my home, I loved my family, and I loved the farm, but I still felt the pull to see what else was in store for me. It never occurred to me that I didn’t have to attend college as the next step after high school graduation, and so the day after my eighteenth birthday I headed off to Earlham College in Indiana. A community service scholarship (Bonner Scholars) put me through college. By graduation I knew that my heart was called back to agriculture, and I accepted an AmeriCorps VISTA position with the Grow Appalachia program, which led to a full time position assisting gardeners in Eastern Kentucky. Young Maggie with her mother and sister on their family farm. While I loved my job, my heart always longed for a farm of my own, and the year after college I pondered how I would ever reach that goal. My main concern was the need for a strong support system to share the trials and tribulations of farming. I knew I personally needed a partner to support me physically and emotionally because I recognized that farming is extremely tiring and trying. 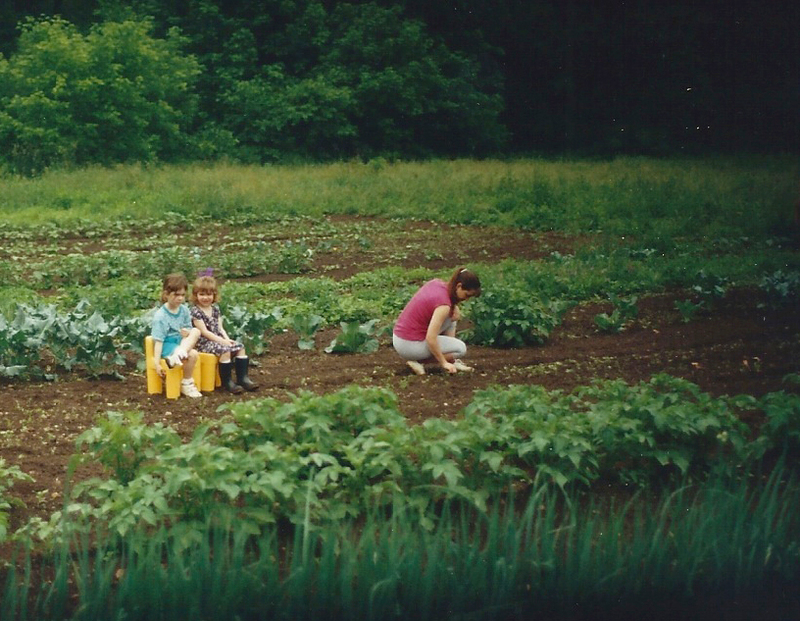 I knew my parents’ would make a place for me on their farm, or thought that maybe one of my siblings (both still is school at the time) would farm with me, or that maybe one of my friends would be a part of this dream. A few years working for Grow Appalachia seemed to be the best first step for me as I worked to save money, find a potential business partner, and figure out what the best steps toward a farming future would be. Six months after starting my job with Grow Appalachia, I attended the Southern Sustainable Agriculture Working Group (SSAWG) conference and met a handsome livestock farmer from Eastern Kentucky. 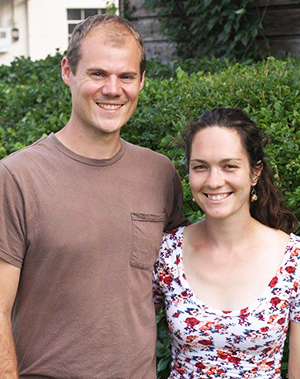 We began dating later that year, and after a while I knew that I had found my co-farmer. With a few years of experience behind me, my student loans paid off, and Will by my side, I quit my job and started farming full time in 2014. As my friends say, “the veggie girl married the meat man” and we embarked on this journey. While I hadn’t undergone any formal farm training, I felt fairly prepared to begin my venture thanks to my experience growing up on a vegetable farm and my time with Grow Appalachia. 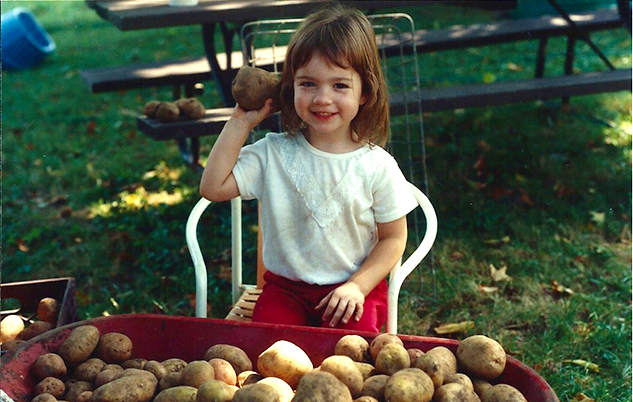 My family is always a phone call away, and I’ve met other vegetable farmers who are always willing to share stories. My brother has worked on farms across the country and has shared many different tricks and perspectives with me. Starting a new farming business is definitely difficult and full of trial and error. I’ve learned from books and conferences, but adapting practices to my own farm is a thing of its own. Will and I have been experimenting with new things over the past year and a half, with varying success. I have much to learn, and I just keep trying to improve while chalking up the mistakes to experience. It is easy to get discouraged when it rains for weeks and my succession plantings are ruined or when equipment breaks and takes weeks to repair, but I try to stay positive and keep moving forward. I am producing food, and people are buying it. Next time I attend an agriculture conference and they ask all the farmers to raise their hands, I’ll be able to raise mine, and that’s what I’ve wanted to do for years. I’ve made it this far on the path to being a farmer, and I believe Will and I can make this business financially sustainable for the future.